Grammy Award winning singer/songwriter Marc Cohn will be performing at St. Cecilia Music Center on Thursday, April 13, 2017 at 7:30 pm. Cohn's hit song “Walking in Memphis” won him a Grammy Award for "Best New Artist" in 1991 which reached Platinum in 1996. This is his 25th Anniversary Tour. Marc Cohn concert tickets are $35 and $40 and can be purchased by calling St. Cecilia Music Center at 616-459-2224 or visiting the box office at 24 Ransom Ave. NE. Tickets can also be purchased online at www.scmc-online.org. 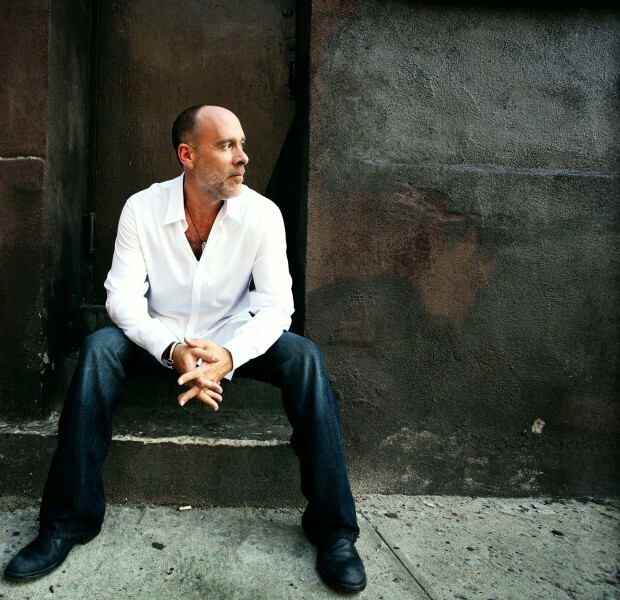 Soulful Grammy award winning folk singer / songwriter Marc Cohn will fill Royce Auditorium with his rich tenor voice during his concert at St. Cecilia Music Center on April 13, 2017. Cohn was nominated twice for his hit song “Walking in Memphis” at the 1991 Grammy’s for Best Pop Male Vocalist and Song of the Year. He ultimately won the Grammy award for Best New Artist at the 1991 Grammy event. His debut album with the hit song was later certified Gold in 1992 and certified Platinum in 1996 by the Recording Industry Association of America (RIAA). During this 25th anniversary concert tour, Cohn will perform from his decades long collection of songs. Marc Cohn concert tickets are $35 and $40 and can be purchased by calling St. Cecilia Music Center at 616-459-2224 or visiting the box office at 24 Ransom Ave. NE. Tickets can also be purchased online at www.scmc-online.org. A post-concert reception with a cash bar will be offered to all ticket-holders. After winning the Grammy award TIME magazine called him "one of the honest, emotional voices we need in this decade." Later during their musical association and stage appearances together, Bonnie Raitt declared, "Marc is one of the most soulful, talented artists I know. I love his songs, he's an incredible singer, and I marvel at his ability to mesmerize every audience he plays for." Raitt, James Taylor, David Crosby, Graham Nash and Patty Griffin all made guest appearances on Cohn's early records for Atlantic, as his reputation as an artist and performer continued to grow. In 1998 Cohn took a decade-long sabbatical from recording, ending in 2007 with a new album called “Join The Parade." Inspired by the horrific events following Hurricane Katrina and his own near fatal shooting just weeks before, "Parade" is his most moving and critically acclaimed record to date. He followed that up with the album “Listening Booth: 1970” in 2010. In March 2016, in celebration of the 25th anniversary of his platinum-selling debut album “Marc Cohn – 1991”, Cohn proudly released “Careful What you Dream: Lost Songs and Rarities” and the bonus album, “Evolution of a Record”, featuring never-before-heard songs and demos dating back to years before his debut album and the Grammy Award that followed. Two years ago began a new partnership with the syndicated radio show Acoustic Café and its host Rob Reinhart. Acoustic Café, the Ann Arbor based radio program hosted by Reinhart is syndicated to over 100 commercial and non-commercial stations throughout the country and airs locally in Grand Rapids on WYCE on Friday mornings. The Acoustic Café Series at SCMC features touring singer/songwriter folk/Americana musicians in concert and also presents the opportunity for a live taping with the artists while visiting SCMC. Margo Price, new country soul sensation out of Nashville, will perform on April 6, 2017. In 2016 Price burst into the spotlight receiving "Emerging Artist of the Year" from The Americana Music Association and “Best Country Record of 2016” by Nashville’s Scene for her debut album “Midwest Farmer’s Daughter” Price also appeared at the 2016 Grammys performing “Hands of Time”, the lead song off of her debut album. Two weeks ago, Price won the coveted 2017 American Music Prize ($25,000) that recognizes the year's best debut album. 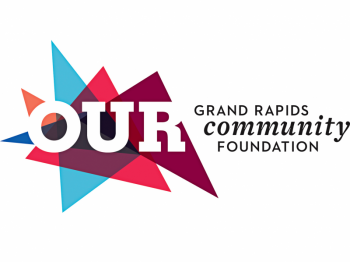 St. Cecilia Music Center brings the super group SFJAZZ to Grand Rapids on May 4 performing the music of Miles Davis and original compositions. This concert will be an all-star ensemble comprising eight of the finest performer/composers at work in jazz today. SFJAZZ features Miguel Zenon, Alto Saxophone; David Sanchez, tenor saxophone; Sean Jones, trumpet; Robin Eubank, trombone; Warren Wolf, vibraphone; Edward Simon, piano, Matt Penman, bass and Obed Calvaire. The SFJAZZ Collective’s mission each year is to perform fresh arrangements of works by a modern master and newly commissioned pieces by each Collective member. More than any other figure, Miles Davis changed the sound of jazz – not once, but consistently over his career – from the birth of bebop in the 1940s to the integration of rock approaches that gave rise to the fusion movement in the 1970’s.